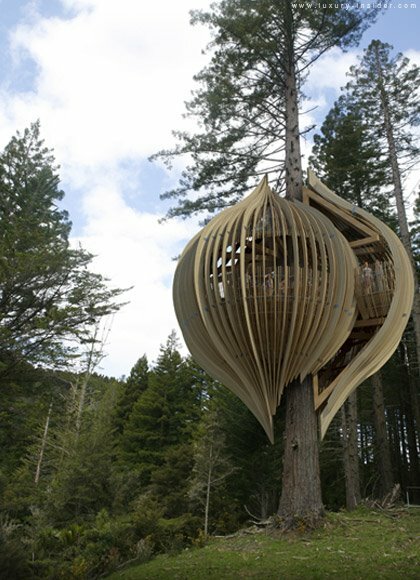 How awesome is this restaurant tree house in New Zealand? It is built 10 metres above the ground, and is an incredible and fantastical feat of engineering & building. Loosely based on a seashell or cocoon, it is stunning and dreamlike. Originally built as an advertising campaign, it was built by Pacific Environments Architects for Yellow. It was a fully functional restaurant albeit for a limited time (from the 9th of January to 9th February 2009). 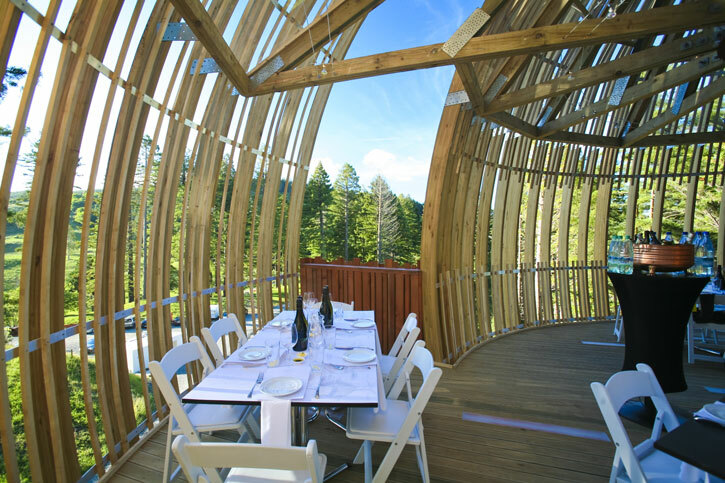 It is on private land, and the location is secret, but that makes it even more intriguing (rumoured to be 45 minutes north of Auckland)- wouldn’t you love to have a lunch there? from Luxury Insider From Yatzer. 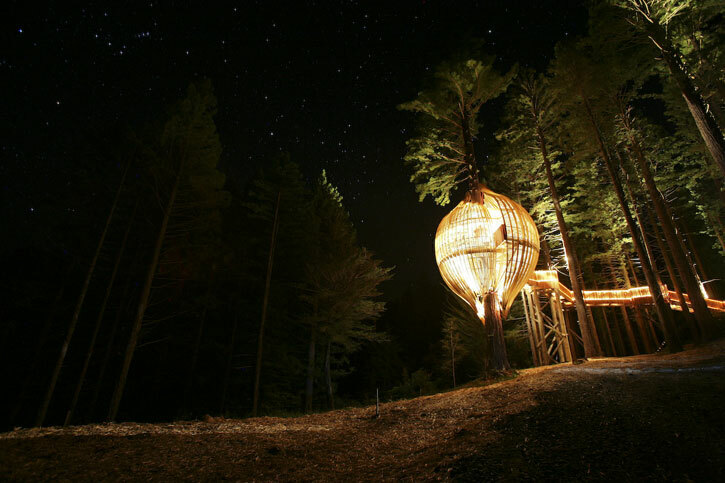 To visit the official site of the tree house, click here. 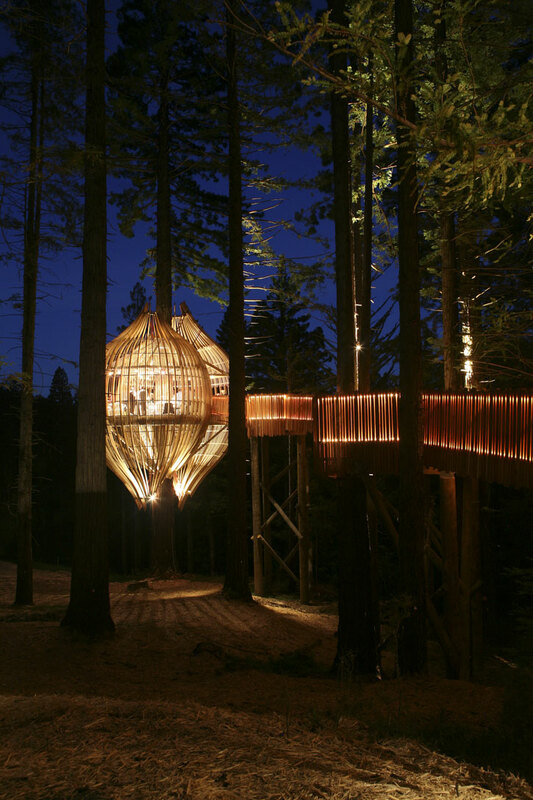 I love architecture that is fresh & interesting, and for that, I think that this tree house can’t be beaten!